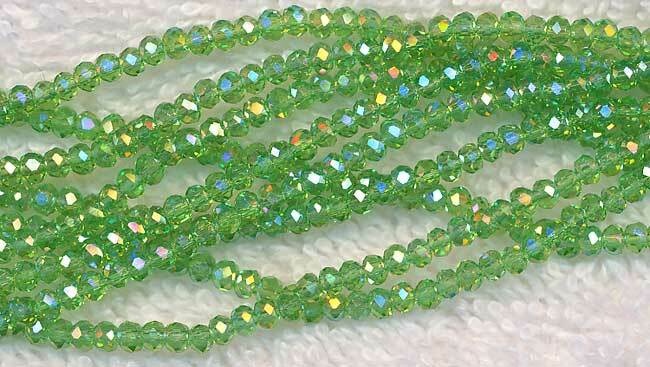 CLEARANCE 3mm Round Crystal Beads are Peridot Green with Rainbow AB Finish (Aurora-Borealis) in color. Sold by strand with an avg of 95+ beads / strand - 5 strands min. These crystal beads will lend breathtaking sparkle in rich bold colors to any of your jewelry creations. Chinese cut crystal beads look phenomenal with precious metal findings, and rhinestone rondelles.